They start training from as young as six years old, before moving on to trials for the national team. 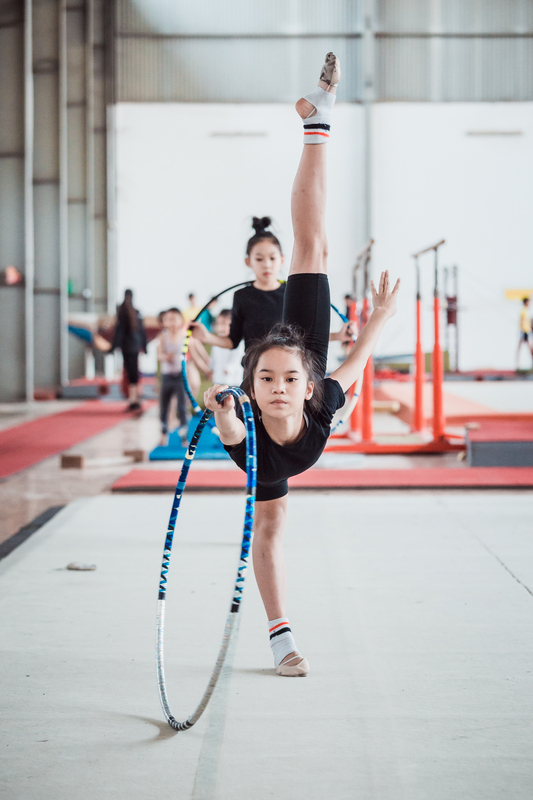 Artistic gymnastics has been in Vietnam for around 20 years, but it's popularity is limited and there are only a few training facilities in the country's two biggest cities of Hanoi and Ho Chi Minh City. 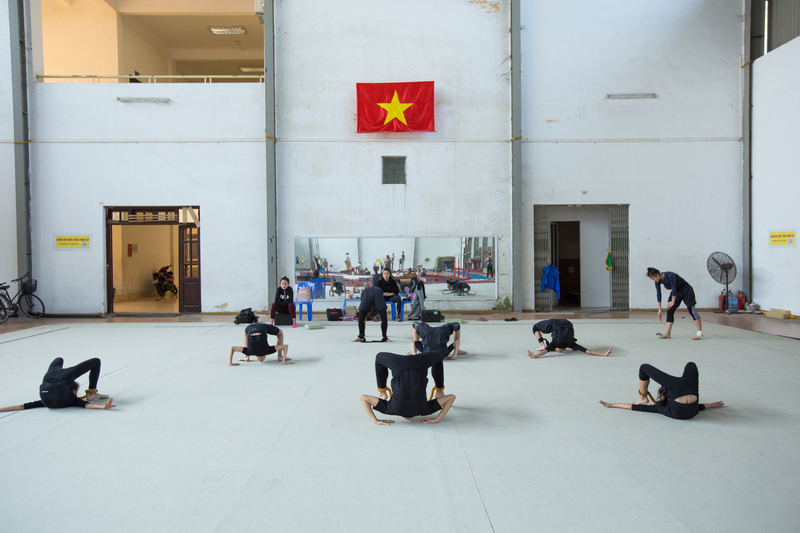 Here at the Hanoi National Sports Training Center, nine girls, tipped for the national team, are spending their childhoods shaping the future of the sport in Vietnam. These girls trained from the ages of 6-8 for two years before they were chosen for the national team. 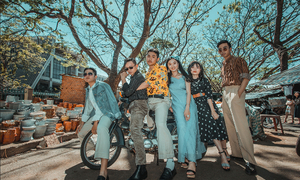 At the annual 2017 Southeast Asian Games in Malaysia, Vietnam's artistic gymnastics team brought home silver medals, the highest honor Vietnam has ever received in the sport. The national team has strict requirements in terms of body shape and facial expressions, and recruits only one or two athletes each year. 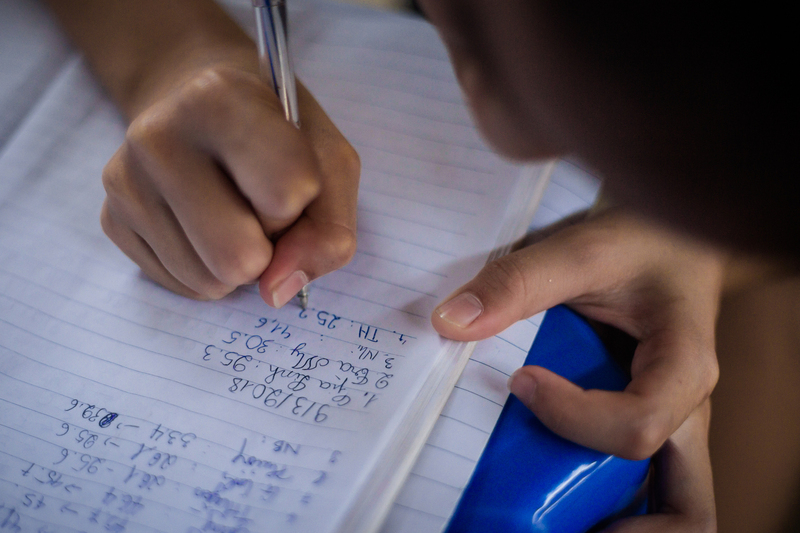 They have to practice for 6-8 hours per day after school. 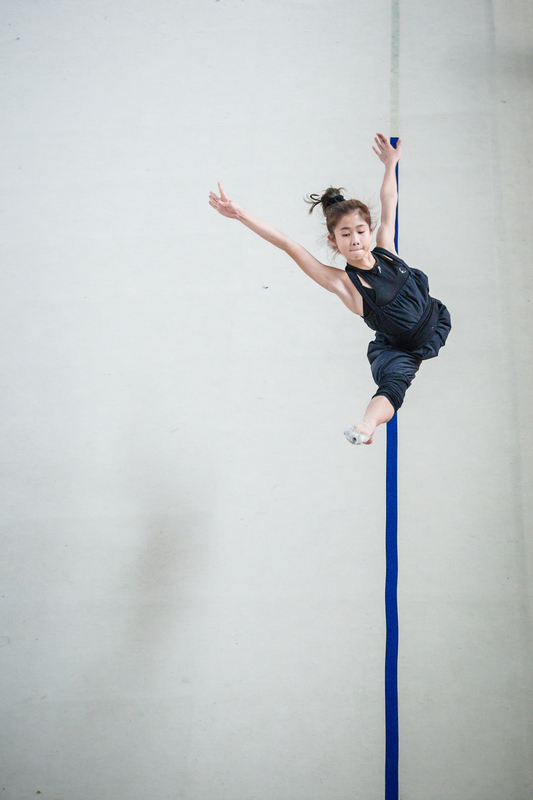 Most of the time they have to wear an elastic chord between their ankles while they practice to strengthen their muscles. In competition, they have to perform in four out of five different disciplines lasting 90 seconds each: rope, hoop, ball, club or ribbon. 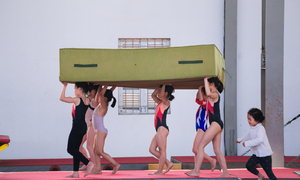 One of the most difficult requirements in artistic gymnastics is that the athletes have to be able to walk on their toes. Putting wax on their canvas shoes reduces friction and helps them to move more easily. These girls have to strictly control their weights. They weigh themselves every day before and after training, and keep a record. A daily run with their jackets on is one routine they are not allowed to skip, even in temperatures of up to 35-36 degrees Celsius.